The Chinese Navy has commissioned its third Type 052D Kunming-class destroyer, ‘Hefei’, armed with surface-to-surface missiles as its primary assault weapon. Beijing plans to build at least 10 warships of the Kunming class to enhance protection of the nation’s maritime interests. The People’s Liberation Army Navy delivered the third Type 052D (NATO designation Luyang III class) destroyer Hefei (hull number 174) to the South Sea Fleet on Saturday. The vessel’s home base is the naval complex in Sanya, on the island province of Hainan, China Daily reports. “My men have familiarized themselves with the advanced equipment and weapons [onboard the ship]. In the near future, we will focus on training, aiming to make the ship become fully operational within a short period,” Hefei’s captain, Commander Zhao Yanquan, told China Daily in an exclusive interview on Monday. “All posts on the vessel have been manned by my officers and sailors,” the commander said, noting that his new ship is “especially stronger in terms of target detection capacity and air defense capability” than the previous Type 052B he served on as deputy captain. Launched on July 2, 2013, Hefei was constructed at Changxing Jiangnan naval shipyard near Shanghai, where 80 percent of all Type 052D destroyers will be built. The first Type 052D destroyer Kunming (hull number 172) was commissioned in March 2014. The next, Changsha (hull number 173), entered service in August this year. Armed with an unspecified number of surface-to-surface cruise missiles, air defense missiles, 130mm cannon and such cutting-edge technology as stealth low radar signature and advanced phased array radar antennae, the ship’s displacement is nearly 7,000 metric tons, which is bigger than the previous series. The vessel can engage any targets on water and on the ground, be it ships, submarines, aircraft or stationary ground targets. 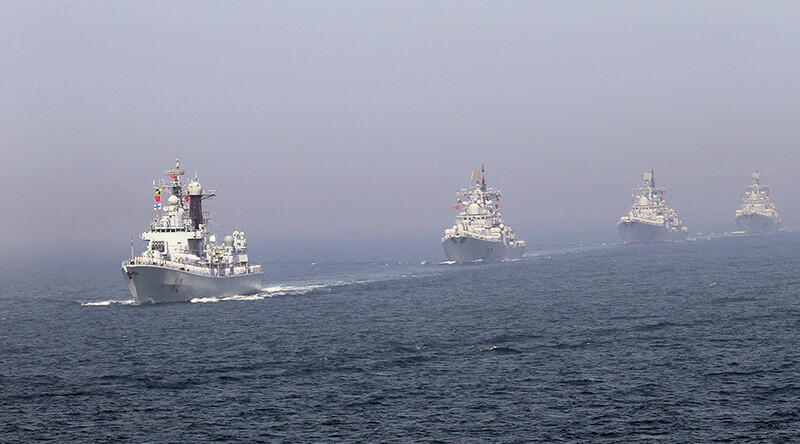 Hefei is ready to conduct Network-Centric warfare in joint operations with other PLA ships and aircraft. Deputy political commissar of the PLA Navy, Vice-Admiral Wang Dengping, specifically pointed out that Hefei is the most advanced destroyer ever built by China. 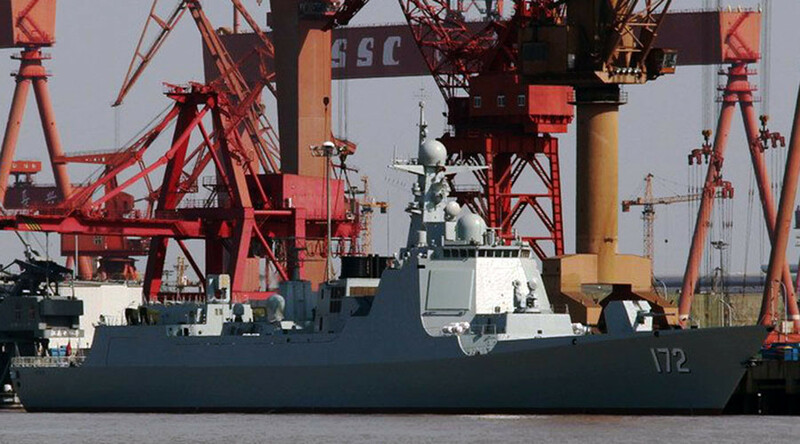 By its declared capabilities, a Type 052D Kunming-class destroyer could be compared to the American AEGIS destroyers. China’s next stage Type 055 destroyer is in development now, revealed Yin Zhuo, director of the PLA Navy's Expert Consultation Committee. Future Chinese destroyers are planned to be much larger, with displacement of about 10,000 metric tons, allowing them to take aboard as many as 100 cruise missiles.